Join Columbia's most influential young leaders in panel discussions to learn their pathways to success. Columbia get ready! We are excited to announce the lineup for the first Columbia Career Connect Conference and Luncheon (#C3Conference). Join us for a day of networking and learning from respected community and industry leaders. 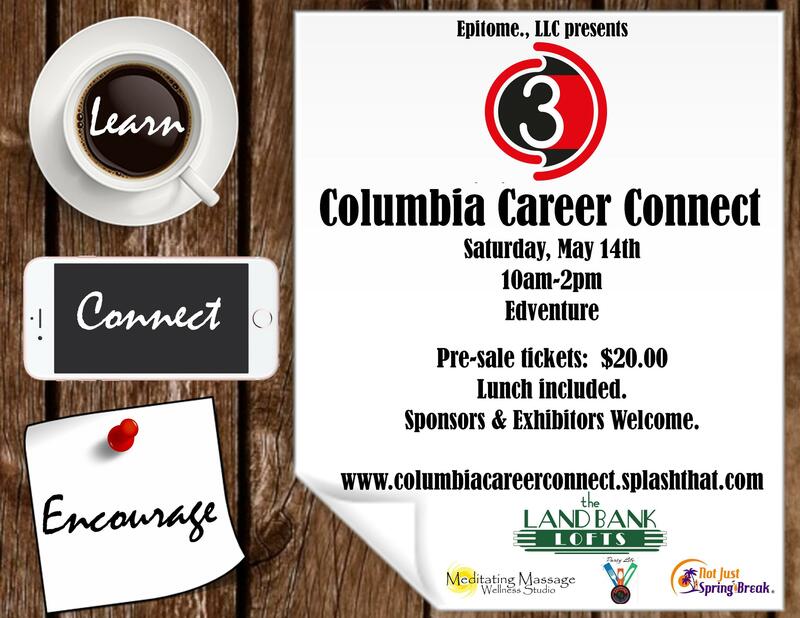 Whether you are still in school or want to take your career to the next level, this event will introduce you to Columbia natives and residents who excel in various industries. Let's be honest, there are only two to three degrees of separation in Columbia. So why not network with someone who may know someone who can help with your career? Our panelists will discuss barriers, challenges, and opportunities for success. We have carefully crafted an incredible lineup of panelists who will offer strategies, tips, and insight on how to discover your passion or accelerate your career . Check out who will join us this year. Principal, Grant Business Strategies, Inc.
As Principal of a financial and strategic advisory firm, Hamilton works with small businesses, non-profits, and middle market companies to understand their financial needs and develop a viable solution. He is deeply rooted and active in his community and serves on various boards, including Vice-Chair of the Talented Tenth Young Professionals, spearheaded by Mayor Steve Benjamin, and Co-Chair of the South Carolina Young Leaders for Bernie Sanders Committee. Hamilton has been featured nationally on MSNBC, CNN, NBC Universal, CNN, TheGuardian.com, and the New York Times and Washington Post, and is a member of Omega Psi Phi Fraternity, Incorporated. Shayla Riley is a professional, skillful, driven and dedicated Property Management and Real Estate Professional with extensive experience in the coordination, planning, accounting of multi-million dollar lease-up properties in the Downtown area. She is proficient in the sales and marketing of luxury rentals, as well as Real Estate Brand Development and New Construction Management. She has over 15 years of real estate experience and is invested in improving the urban and multi-family landscape of Columbia, SC with the newest addition—the Land Bank Lofts. She was recently appointed the Chair of the Alternative Housing Committee for the Apartment Association for Greater Columbia. She is also a dedicated mother to one daughter, Kyndall, who is a second grader at Heathwood Hall Episcopal School. With his amazing passion and skills for music, DJ Puff is one of the most sought after DJs in the country. He has worked with artists such as Nicki Minaj, Gucci Mane, Eric Benet, Rick Ross and has travelled internationally to diversify his craft. For the past three years he has been nominated by one of South Carolina's largest music awards in the state in the category of 'Favorite DJ.' He also is an on-air radio personality for Hot 103.9/93.9 and a member of the "KoolKamp,' an entertainment group that caters to nightlife as well as community and school events. Ivan Earle went straight from high school to a full-time job working at a local plant in Columbia, South Carolina. His dreams were very basic – and on his $12,000 annual salary, they had to be. Five years later, he started his new career with Primerica on a part-time basis, forever changing his family’s legacy for generations to come. He found great joy in helping families change their financial lives the education and training. Dr. Sharon R. Earle, is a graduate of Lander University (B.S., Elementary Education), Clemson University (M.Ed., Guidance/Counseling & Personnel Services) and SCSU (Doctor of Education). After over 22 years in public school administration, Sharon merged her talents and commitment full time to assist in forming their multi-million dollar Fortune 500 Company. For Ivan and Sharon, being one of Primerica’s million-dollar earners, and respected leaders of the African American Leadership Council has llowed them to have a level of success where they have freedom, time, and money. More importantly, however, it means they get to spend more quality time with their children, help their family and build a business together. A graduate of the prestigious Tisch Schools of the Arts at New York University, Syhaya has been featured in countless movies, tv shows, commericals, short films, and theater plays. From iconic shows like Law and Order to films on LIfetime and HBO, she is a diverse actress with many talents. She believes that performance arts are a form of healing, and also conducts holistic workshops. Syhaya currently resides in Brooklyn, New York. Malcolm Richardson is the owner of ClearVision Media, a video production company specializing iin all videography needs. He has worked in broadcasting for almost 20 years at local media stations WLTX, Fox57, and the City of Columbia. A Spring Valley graduate and South Carolina State University Alum, Malcolm strives to continue to grow his company and make a mark here in Columbia, SC. He teaches Journalism part-time at the SC Science Academy, and recently started a new business venture, Neo Soul Group, LLC, where he promotes local artists and gives them an outlet to display their talents. Malcolm enjoys spending time with his seven-year-old daughter. Columbia resident Alana Simmons is an educator and community advocate. She has taught elementary, middle, and high school chorus and is the founder and CEO of Hate Won't Win Movement, Inc., a non-profit organization that gives back to families and communities affected by hate crimes, discrimination, and bullying. She is a graduate of Elizabeth City State University with a B.A. in Music Education, concentration in Piano, and Norfolk State University with a M.A. in Music Education, concentration in Voice. She is a former Miss Black VA, Miss Essence VA, Miss Essence USA, Miss Elizabeth City State University, and Miss CIAA. Alana is a member of Delta Sigma Theta Sorority, Inc. and the National Association of Music Educators. Savannah J. Frierson realized writing was her calling her junior year of high school. She began her first original work, Reconstructing Jada Channing, during her senior year of college and released her first novel, Being Plumville, three years later in 2007. Being Plumville earned Savannah SORMAG Readers’ Choice Awards in 2007 and an Emma Award nomination for Debut Author of the Year at the 2008 Romance Slam Jam Conference. She has also spoken at several book fairs, including Capital Bookfest in Charleston, South Carolina, book clubs, radio shows, and classes about her work. Savannah currently resides in Charleston, South Carolina. Shanita Brown, LMT, BCTMB, is a licensed massage practitioner with a knack for educating and providing clients with quality integrated therapeutic massage treatments. She puts the 'well' in wellness and the 'be' in believing the power of massage therapy. Since 2006, she has been studying massage therapy and practicing as a full-time licensed massage therapist since 2009. Shanita has traveled to other countries, including China and South Korea, to research and study holistic healing practices. She is a member of the American Massage Therapy Association, National Certification Board for Therapeutic Massage and Bodywork and is a Certified Nursing Assistant. Started in 2009, The Fat and Skinny on Fashion (TFSF) was initially founded as a hobby to showcase art, photography, music, natural hair, and fashion from the views of a plus-size fashion journalism graduate student. Today TFSF has shifted Jai's position into a stylist, photographer, video director, painter, graphic designer, and fashion designer. If she isn't creating, she isn't happy! She has been a contributor for numerous publications including The Curvy Fashionista, Stylehop.com, and Gemini Magazine. She has also graced front rows at several prestigious fashion shows during Charleston Fashion Week, Columbia Style Week, and New York Fashion Week. Jai currently resides in Charlotte, North Carolina. Currently residing in New York City, Columbia native Lauren Grant curates memorable experiences for corporations, nonprofits, and personal celebrations. 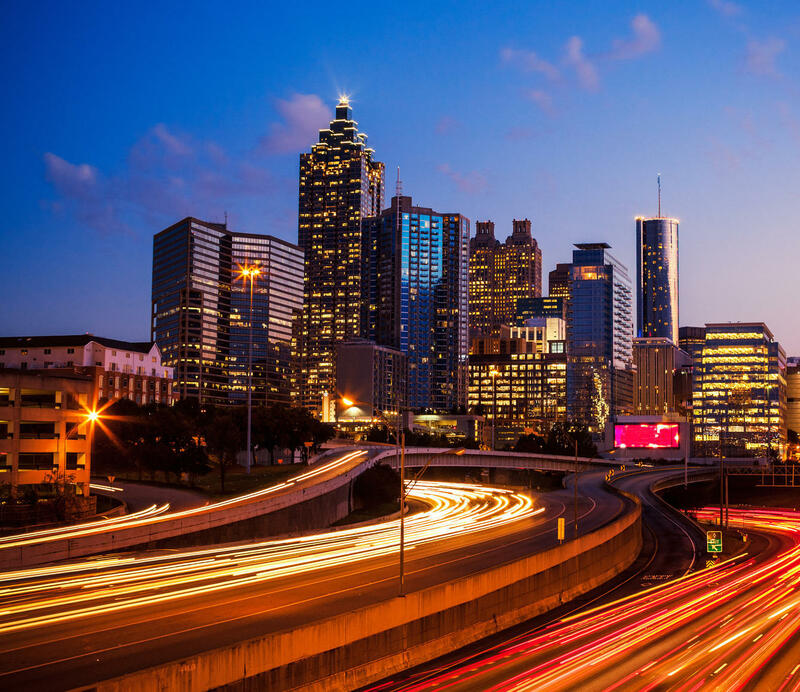 TGA has an impressive portfolio, collaborating with organizations, including: REVOLT TV, Nielsen, American Association of Advertising Agencies (4A’s), Cantu Beauty and Essence Music Festival. Lauren’s hands-on approach and attentiveness signifies her understanding and ultimately executing their vision. Lauren is a graduate of the School of Business and Industry at Florida A&M University, receiving a Bachelor of Science and MBA with a concentration in Business Administration and Marketing, respectively. Born and raised in Lancaster, South Carolina, Leticia McIlwain has over 10 years in IT expertise. In her current position for an educational software company, she assists customers in the optimization of South Carolina's IEP, RTi, 504, ELL, and Gifted and Talented processes including data integration for Excent Software Corporation’s full suite of products. Her prior position was the Database Administrator for Powerschool, Richland County School District One's Student Information System. Leticia holds a B.S. degree in Integrated Information Technology from USC and is PowerSchool certified and a MCTS (Microsoft Certified Technology Specialist). She is currently pursuing SQL Server DBA certification. Chad Smith has been a licensed barber for 14 years. In his senior year at Spring Valley High School, Chad attended Harley's Beauty & Barber Institute and received his Barber license at the age of 18 years old after completing on the training at Brierson Barber and Beauty. He has worked at the Carolina Barber and Beauty Shop for over 10 years. He has developed various youth programs in Richland County, including Football 101. Chad volunteers with schools within the Columbia area as a mentor, and lead the Richland County Polo Road Steelers to win the championship game in 2010. As Head Coach of the Steelers, he coached boys ages 10-13 in the fundamentals of football. You can catch Chad on ESPN Radio 1230 AM on Mondays and Wednesdays from 4PM-6PM, where he discusses all things football. Leslie Simpson, Esquire is a graduate of Claflin University and the USC School of Law. As part of the SC Senate Judiciary Committee, she drafts legislation and facilitates committee meetings for bills related to Workers' Compensation, Domectic Relations and the Children's Code. Prior to joining the Judiciary Committee, she was a law clerk for the SC Senate Office of Senate Research. She is also the Head Cheerleading Coach of the reigning Southern Intercollegiate Athletic Association All Girl Claflin University cheerleading squad. Leslie is a member of the SC Women Lawyers' Association, and a proud member of Delta Sigma Theta Sorority, Incorporated. Shauna Pendergrass, a 30 year-old native Carolinian, is a Vocational Evaluator for the South Carolina Commission for the Blind. In that role, she structures the evaluation assessments for individuals who are blind or visual impaired. Shauna obtained her BS Degree in Psychology from the College of Charleston. She also has a Master's Degree in Rehabilitation Counseling from the University of South Carolina School of Medicine. She received a graduate certificate in Psychiatric Rehabilitation and is a Certified Rehabilitation Counselor. Shauna has worked as a counselor for six years and has worked with several populations including both children and adults. Shauna believes that life's struggles are measured by our tolerance and that understanding this concept is life changing. The R.C. Wilson Group, LLC develops community-based alternative education and treatment program for adult offenders, juvenile offenders, and troubled youth. The Group consults with agencies and organizations to enhance fiscal and social advantages. Roscoe also offers community development concepts that improve the connection between families and needed services in their communities from health services to behavioral health modification. He is on the Board of the Greater Columbia Community Relations Committee, and is a Chief Consultant at the Solomon & Associates Consultant Group, LLC. Panel: "Breaking in the Arts: Beauty, Social, and Entertainment Careers"
Panel: "Be Your Own Boss: Small Business and Entrepreneurship Careers"
We encourage you to visit our exhibitors. The 2016 Columbia Career Connect Conference will be held in the Canal Room at Edventure, which is conveniently located in the heart of Columbia. Entrance is at the lower rear side of the building. Sign in at the registration desk outside of the Canal Room. Columbia Career Connect would not be possible without our sponsors. Our Premiere Sponsor, The Land Bank Lofts, is Columbia's newest luxury downtown apartment tower. Formally a historic bank, the renovated building provides the exclusive metropolitan experience for the young professional yearning for downtown living. To learn more about the Land Bank Lofts, visit www.landbankapartments.com. If you would like to sponsor this event, please email ColumbiaCareerConnect@gmail.com or call 803.553.8008.